*2019 RAV4 LE - $89 per month - Model #4432A, Stock #T9146; 4 Cylinder Automatic; 36 month lease with 12,000 mi./yr. with Toyota Financial Services Tier 1 credit approval; $8,700 due at signing, MSRP $29,073, Sales Price $27,706. Payment is plus tax, requires $199 doc and $15.00 title fees; no security deposit for well qualified buyers. All advertised specials are on in-stock units only; includes lease cash; not valid with any other offer or discount; vehicles subject to prior sale; vehicle image for illustration purposes only; shown with options. Expires 4/30/19. *2019 Camry LE - $99 per month - Model #2532C, Stock #T9159; 4 Cylinder Automatic; 36 month lease with 12,000 mi./yr. 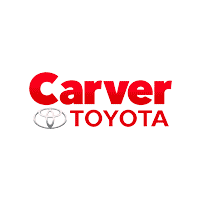 with Toyota Financial Services Tier 1 credit approval; $8,325 due at signing, MSRP $25,723, Sales Price $24,076. Payment is plus tax, requires $199 doc and $15.00 title fees; no security deposit for well qualified buyers. All advertised specials are on in-stock units only; includes lease cash; not valid with any other offer or discount; vehicles subject to prior sale; vehicle image for illustration purposes only; shown with options. Expires 4/30/19. *2019 Sienna LE - $219 per month - Model #5338a, Stock #T8657D; 6 Cylinder Automatic; 36 month lease with 12,000 mi./yr. with Toyota Financial Services Tier 1 credit approval; $9,425 due at signing, MSRP $33,259, Sales Price $35,254. Payment is plus tax, requires $199 doc and $15.00 title fees; no security deposit for well qualified buyers. All advertised specials are on in-stock units only; includes lease cash; not valid with any other offer or discount; vehicles subject to prior sale; vehicle image for illustration purposes only; shown with options. Expires 4/30/19. *2019 Tacoma TRD - $199 per month - Model #7544A, Stock #T8418D2; 6 Cylinder Automatic; 36 month lease with 12,000 mi./yr. with Toyota Financial Services Tier 1 credit approval; $6,875 due at signing, MSRP $35,898, Sales Price $37,898. Payment is plus tax, requires $199 doc and $15.00 title fees; no security deposit for well qualified buyers. All advertised specials are on in-stock units only; includes lease cash; not valid with any other offer or discount; vehicles subject to prior sale; vehicle image for illustration purposes only; shown with options. Expires 4/30/19. *2019 Highlander LE - 1.9% APR for 72 mos. - On select models; with approved credit; 72 monthly payments of $14.71 for each $1,000 financed; requires $199 doc and $15.00 title fees, first payment and taxes on rebates, see dealer for complete details. All advertised specials are on in-stock units only; includes all manufacturing rebates and incentives; not valid with any other offer or discount; vehicles subject to prior sale; vehicle image for illustration purposes only; shown with options. Expires 4/30/19. *2019 Tundra SR5 - 1.9% APR for 72 mos. - On select models; with approved credit; 72 monthly payments of $14.71 for each $1,000 financed; requires $199 doc and $15.00 title fees, first payment and taxes on rebates, see dealer for complete details. All advertised specials are on in-stock units only; includes all manufacturing rebates and incentives; not valid with any other offer or discount; vehicles subject to prior sale; vehicle image for illustration purposes only; shown with options. Expires 4/30/19. FINANCE OFFER* FINANCE OFFER* $187/mo. FINANCE OFFER* FINANCE OFFER* $262/mo. FINANCE OFFER* FINANCE OFFER* $261/mo. FINANCE OFFER* FINANCE OFFER* $275/mo. FINANCE OFFER* FINANCE OFFER* $291/mo. FINANCE OFFER* FINANCE OFFER* $292/mo. FINANCE OFFER* FINANCE OFFER* $301/mo. FINANCE OFFER* FINANCE OFFER* $290/mo. FINANCE OFFER* FINANCE OFFER* $303/mo. FINANCE OFFER* FINANCE OFFER* $287/mo. FINANCE OFFER* FINANCE OFFER* $312/mo. FINANCE OFFER* FINANCE OFFER* $300/mo. 2019 Toyota Tacoma SR Silver Sky RWD 6-Speed Automatic 2.7L I4 DOHC 16V 5" Black Oval Tube Steps, ABS brakes, All Weather Floor Liner & Door Sill Protector Pkg, Anti-whiplash front head restraints, Brake assist, CD player, Distance pacing cruise control: Dynamic Radar Cruise Control, Door Sill Protectors, Dual front impact airbags, Dual front side impact airbags, Electronic Stability Control, Exterior Parking Camera Rear, Fabric Seat Trim (FA), Front anti-roll bar, Front Bucket Seats, Front wheel independent suspension, Knee airbag, Occupant sensing airbag, Outside temperature display, Overhead airbag, Passenger cancellable airbag, Radio: Entune AM/FM/CD, Rear Cupholder Delete, Rear Headrests Delete, Rear Seat Belts Delete, Speed-sensing steering, Tachometer, Telescoping steering wheel, Traction control, Utility Package. FINANCE OFFER* FINANCE OFFER* $304/mo. FINANCE OFFER* FINANCE OFFER* $318/mo. FINANCE OFFER* FINANCE OFFER* $305/mo. *These estimates reflect new EPA methods beginning with 2008 models. Your actual mileage will vary depending on how you drive and maintain your vehicle. Actual mileage will vary with options, driving conditions, driving habits and vehicle’s condition. Mileage estimates may be derived from previous year model. Doc fee of $229 is not included. All pricing and details are believed to be accurate, but we do not warrant or guarantee such accuracy. The prices shown above, may vary from region to region, as will incentives, and are subject to change. Vehicle information is based off standard equipment and may vary from vehicle to vehicle. Call or email for complete vehicle specific information. Doc fee of $229 is not included.